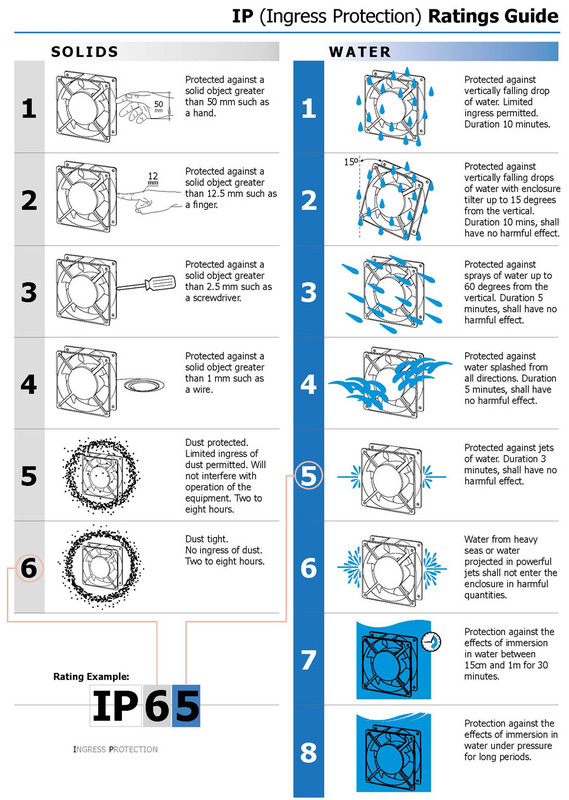 Electric motor IP (ingress protection) classification is a measure of the capacity of the motor to resist ingress of dust and of water. 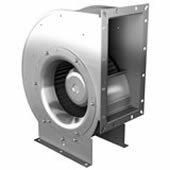 Objects, dust, or water may enter the motor providing they cannot have any detrimental effect upon its operation. Two numbers follow the letters IP. The first number defines resistance to dust and the second to water. 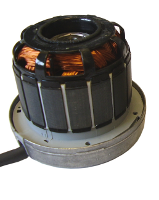 The following examples are fairly typical classifications of motors used to drive general-purpose fans. The descriptions are abbreviated. 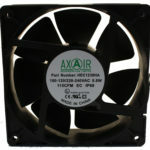 IP55 in particular is a very misunderstood category because it is often sold as being ‘as good as weather-protected’. 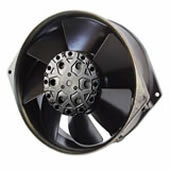 Unfortunately no motor manufacturer will accept a warranty claim for damage to an IP55 motor that has been installed outdoors without a ventilated rain cover. 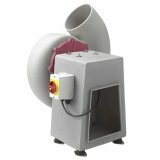 The reason is that rain water, or melting snow and ice, has time to penetrate unsealed gaps and assembly spigots, whereas hosed water is only applied for a short wash-down period and the motor dries quickly. 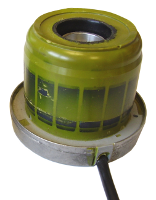 IP55 does not necessarily imply sealing of the motor external surface, it can mean sealing the bearings, and totally protecting motor windings and all connections with resin, a plastic cover, or both. 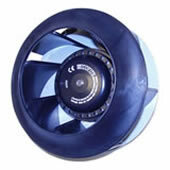 Water is then permitted to enter the motor but can do no harm. 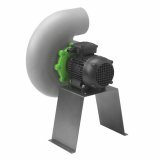 External rotor motors, although only of IP44 or 54 splashed water protection class, do have the facility for draining any water that may enter the motor through the annular gap between the rotor and the motor backplate, or through a hole at the opposite end of the rotor. 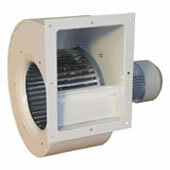 This is only recommended for types of external rotor motor that have had their internal surfaces corrosion protected. 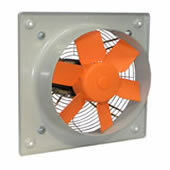 We are also the proud stockist of the worlds first IP68 EC ATEX compact axial fan. IP68 means that not only can it guarantee 100% dust proof but is also 100% waterproof providing the maximum possible protection. 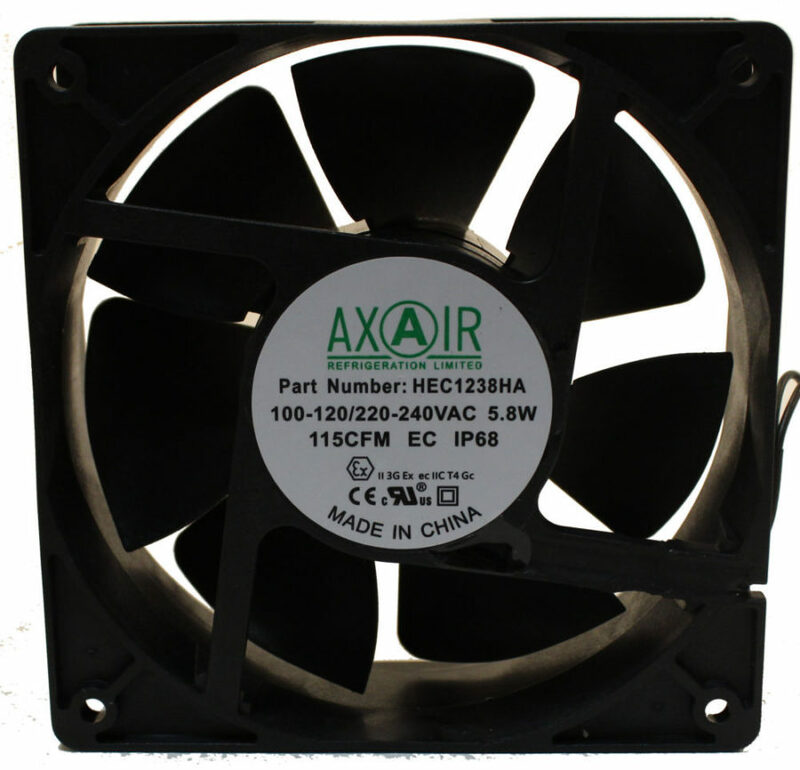 In addition to this, our innovative compact fan is also ATEX approved. 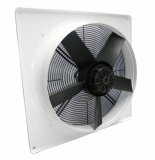 This means that the fan is completely spark proof meaning it is ideal for applications such as commercial refrigeration where due to the explosiveness of some refrigerants a spark could prove potentially dangerous and harmful. 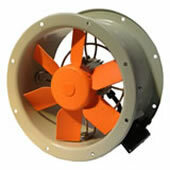 By using an ATEX fan the possibility of an explosion or fire is completely erased. 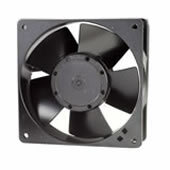 Other applications for the ATEX EC IP68 compact axial fan include serve cabinets and other enclosing cooling.